The Cookbook Club continues at Craft London in Greenwich, as an opportunity to meet chefs with recently published books and eat some of the recipes. 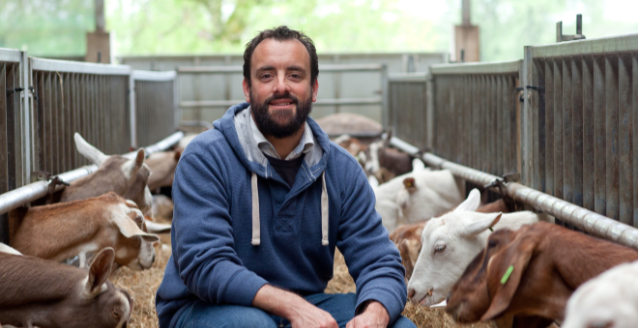 On Thursday 26th April they play host to James Whetlor, author of Goat: Cooking and Eating, and James will be cooking up a feast that celebrates his and Stevie’s like-minded ethos of sourcing ethical and sustainable produce. Tickets are just £35 - don't be sheepish! 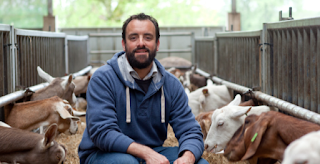 "We’re delighted to announce that the third instalment of Cookbook Club at Craft London will take place on Thursday 26th April with Stevie Parle and the team hosting acclaimed goat meat supplier James Whetlor with his cookbook ‘Goat: Cooking and Eating’. This exciting evening will continue the series of collaborative feasts where every month Stevie invites in one of his favourite chefs or food writers in to cook a menu inspired by their latest book – presenting diners with the unique opportunity to try dishes from some wonderful recipe books. There will also be a chance to meet the chefs, and learn a little about what goes on behind the pages."